When I was ordained as a Lutheran pastor, now more than 26 years ago, the person I asked to preach on that July afternoon in 1987, was (still is, for that matter) an older, wiser Lutheran pastor, Jerry Bongard, who had been very influential in my teen-aged years. I regarded him then as both mentor and friend, and, indeed, for that matter, still do. Jerry gave a wonderful and powerful sermon that day, most of which I’ve forgotten, but one line which will never leave me, was his description of my ministry-to-be as a ‘keeper of the sacred fire’. Somehow, I was deeply moved by that word to me, the gift that Jerry shared with me so long ago – Thanks, old friend! It was important to me then, and has become even more important to me now. Every time I read this text from the Second Letter to Timothy, Jerry’s gift comes again to mind, with the reality it bears, as I’m reminded ‘to rekindle the gift of God that is within’ me. I’m also reminded that there is a gift in all of us, pure gift, the fire of God’s Spirit (also translated as both breath and wind in both Hebrew (ר֫וּחַ) and Greek (πνεῦμα, ατος, τό), something always needed for rekindling work. Faith is pure gift by which we experience another, related pure gift, the Gospel of Jesus Christ with its healing and life-giving power. Yet, yet (Note well, not but, no ‘death of a thousand buts’ here…) these are gifts which must be nurtured, cared for tenderly. Occasionally, it may seem, or feel, like the fire has gone out, and that’s when we need to rekindle the sacred fire within, or have it rekindled for us by someone else, in the power of the original Spirit, the Holy Wind from God. 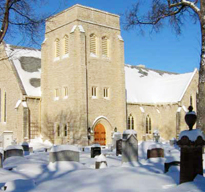 In recent years, as I’ve moved into service with the Anglican Church of Canada (even while remaining on the ELCIC Roster, under the terms of the Waterloo Accord for Full Communion), I have been privileged and richly blessed to work more – if still in a small way – with Christian sisters and brothers who are also First Nations and, to a lesser extent, Métis and Inuit. How important it is in the traditional cultures to keep the sacred fire burning, literally, as part of traditional customs and spirituality, but also now linked with Christian faith. It shouldn’t be all that strange to some of us, whether Anglican or Lutheran; it’s just that, if we have maintained our sacred fires, we’ve enclosed them in red glass and brass and hung them up as ‘eternal flames’ (from the Hebrew as described in the Pentateuch), and we have designed them to burn quietly and without much attention, if any, for up to a week. Well, it’s not quite so simple in more traditional cultures, where the fire must be nurtured, cared for tenderly, and rekindled when it burns low, as in the photo above from Australia. Even so, our own spiritual fires burn low, whether as individuals, or as communities of faith, and they need rekindling. Ultimately, (another gift) it is God’s Spirit which is the firekeeper, but always, in one way or another, sometimes in deep mystery, working through us, and often through all of us, not just those of us designated by the community of faith as ‘firekeepers’. When we work together we work best, and the fire of faith and service in Christ’s name is rekindled: For God did not give us a spirit of cowardice, but rather a spirit of power and of love and of self-discipline.